We won! 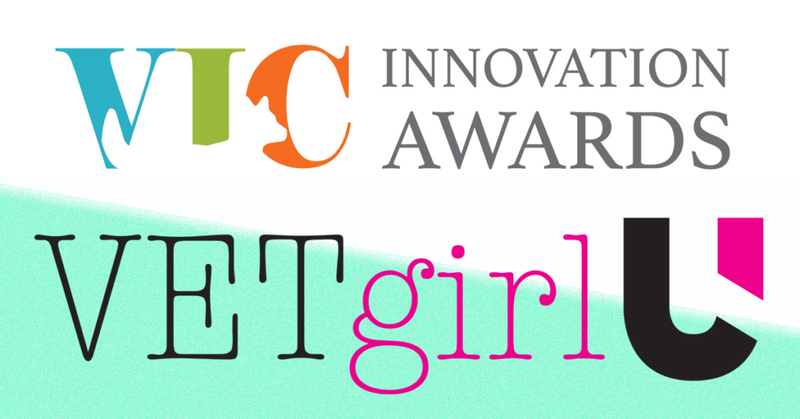 We are excited and honored to announce that VETgirl, your #1 source for online veterinary continuing education, has won the VIC Innovation Award at NAVC/VMX 2018, thanks to you. We can't tell you how much we appreciate the support and thousands of votes from our veterinary colleagues and peers. The VIC Innovation Awards are designed to recognize those who have dedicated themselves to the betterment of the animal health industry through innovation. Since 2013, VETgirl has provided clinically relevant, convenient, practical, and cutting edge online veterinary CE, allowing the veterinary community to learn on their time. We promise to continue to deliver the best CE to you! Again, thank you. We wish we were in person to receive the award, but we're stuck in snowy, freezing Minnesota and Pennsylvania. We wish we were in Orlando at VMX right now to receive it in person.